The construction industry is rapidly evolving. 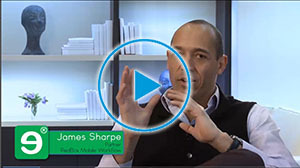 Once a sector that required hammers and nails, it now demands mobile applications. 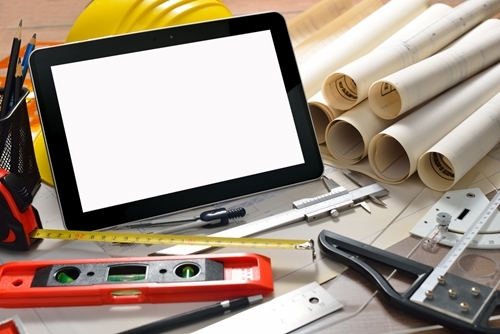 According to a report from JB Knowledge, in 2012, 41 percent of construction professionals stated that mobile tech is “not very important,” but only two years later, almost half of surveyed contractors, builders and managers indicated that mobility is important and 31 percent said it was “very important.” It’s clear that mobile applications are now a necessity in the construction industry, and this means that Mobilengine is absolutely required. In fact, Mobilengine’s backend- and platform-as-service solution is the definitive standard when it comes to construction mobility. It is the only mobile application development system that is capable of supporting a wide variety of tasks and business needs while also providing a wealth of benefits – from improving safety to reducing errors – thanks to Mobilengine​’s features and capabilities. 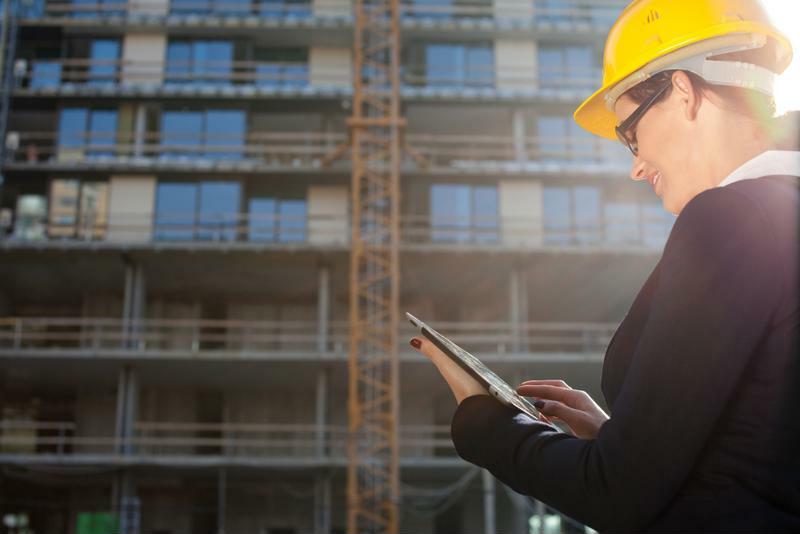 Construction firms adopt enterprise mobility strategies because many jobs around worksites can benefit from mobile capabilities. While many mobile applications are created or downloaded for a specific need, Mobilengine provides construction companies with the building blocks and backend systems to develop and support a mobile workflow application for any task. Mobilengine will securely integrate existing enterprise software and systems with mobile workflow applications, ensuring that current processes remain. After all, applications need to be created with these workflows in mind, not the other way around, and with other solutions developing, making a unique tool for every task would take years. With Mobilengine, construction firms are given 90 percent of the code and supporting systems, meaning that IT teams can customize the remaining 10 percent of the application for each and every job on a worksite. 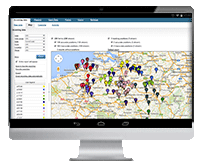 This is why Mobilengine is such a powerful tool for construction firms: They can develop and deploy dozens of different mobile applications, each catered exactly to a specific job – whether it’s for equipment inspections, permit orders, site induction, resource allocation, site stock management, safety auditing or fleet tracking. Mobilengine is the de facto mobile application development platform for construction because provides a solution for everything, and the company has already demonstrated this capability. Providing actual benefits: The construction industry knows all too well that mobility has its fair share of benefits, but in order to actually see a return on mobile application investments, these business will need Mobilengine’s BaaS and PaaS solutions. Improving safety: Between Occupational Safety and Health Administration requirements and local legislation, construction companies must accurately keep track of inspections, repairs and guidelines if they want to avoid fines and fees. Mobilengine performs in this regard because it can be customized to meet all standards and include any important safety steps. Boosting productivity: Mobilengine has the ability to reduce field administration by up to 40 percent and cut down on back office administration by as much as 50 percent. This means that firms can save about 40 percent of their productivity costs with customized mobile applications based on Mobilengine’s native application technology. Scaling for the future: Whether a company grows or adopts new technologies, Mobilengine will remain the best mobile application development solution. Thanks to the cloud, more mobile applications can be rapidly developed and deployed when necessary, and if more employees are required, hardware can scale. Additionally, with support for NFC, RFID and mobile devices capabilities, Mobilengine is the only MADP that firms need for years to come. The choice is obvious for construction companies looking to adopt mobility strategies that can actually make an operational difference. For more information on Mobilengine, check out its website and stick around for more news on mobile applications, mobility and industry solutions. 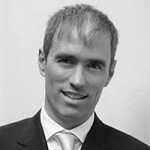 Adam Dalnoki, Mobilengine’s CEO, brings IT and telecommunications expertise as an ex BCG consultant. He made a previous exit in a mobile payment start up and has held sales executive positions at Provimi and Kraft Foods. Your business comes first, right? So focus on your business, not software development. 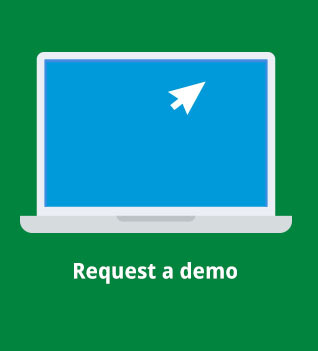 Register and use the demo workflow of your choice on the app.